A summer festival of glorious international chamber music takes place on the banks of the River Tweed this summer. 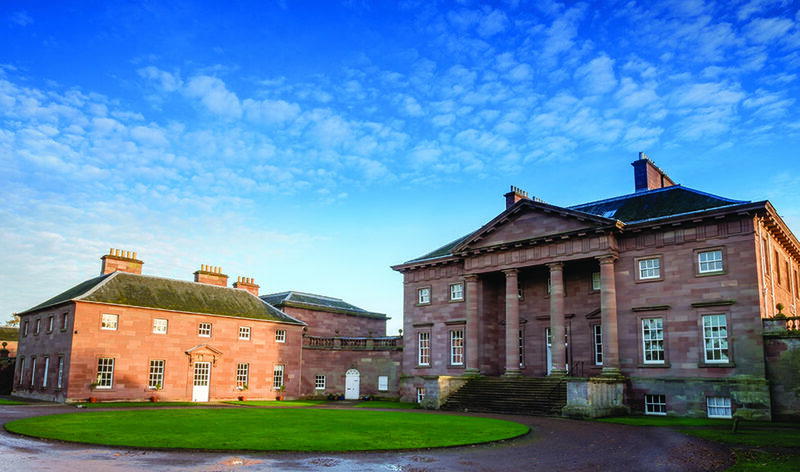 Being held Paxton House, in the Scottish Borders, Music at Paxton will take place from 19-28 July. The daily concerts offer an intimate, friendly and relaxed experience and take place in Paxton House’s splendid Picture Gallery with special events in the Marquee. With its large, domed roof-light that lets in the summer sun, and walls hung high with paintings from the National Galleries of Scotland’s collection, the Gallery is an idyllic setting for chamber music. Music at Paxton is delighted to announce the appointment of the outstanding Maxwell Quartet as the Music at Paxton Associate Ensemble for the years 2019-2021. 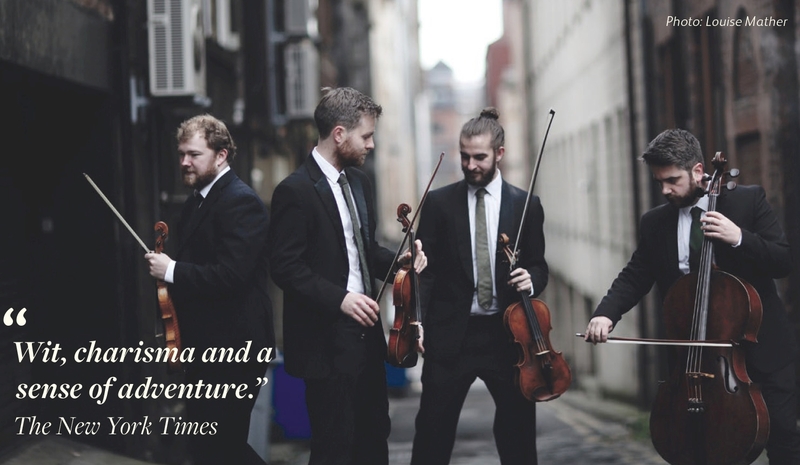 Winners of the 2017 Trondheim International Chamber Music Competition, the Quartet is now rapidly expanding from its Scottish base and is enjoying tours throughout Britain, Europe and the United States. Their brilliant and arresting performances of the classical string quartet repertoire, combined with their exuberant championing of the Scottish folk music tradition and their passion for leading outreach activities with children and families, are an ideal complement to Music at Paxton’s ever-growing ambition to engage people of all ages and backgrounds in the very best experiences that chamber music has to offer. Maxwell Quartet said: ‘We are overjoyed to be beginning a really special musical journey with Music at Paxton this year. When we first came to the festival in 2018, we found it to be such an inspiring place to make music. 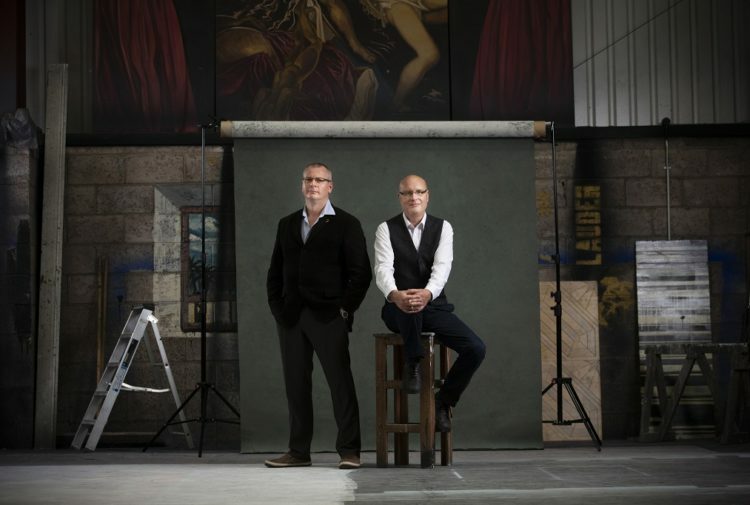 ‘There is something very special about the warmth of the audiences, the clarity of the acoustics and the ambience and history of the house and surrounding area. We have so many exciting ideas about what we might get up to at Music at Paxton in the coming years, from ground-breaking programming, to exciting new collaborations and bringing together classical and folk music repertoire. On Saturday 27 July at 2pm Maxwell Quartet perform a participatory family concert (age 5+) of lively classical music by Haydn and Shostakovich and local traditional tunes at Old Parish Church, Kelso. This is the first time Music at Paxton has taken the festival out of Paxton and into the Borders and is made possible by the support of Kelso Music Society. Maxwell Quartet perform their second concert at Paxton, on Sunday 28 July at 3pm, featuring Shostakovich and Schubert, with traditional Scottish folk music to follow at the end of festival party. This year’s featured artists include one of the world’s foremost interpreters of the central European classical repertoire, globe-trotting pianist Paul Lewis, in a beautifully crafted programme of music by Haydn, Beethoven and Brahms on Friday 19 July at 7.30pm. The captivating violinist Tasmin Little, who recently announced her retirement from the concert platform in 2020, partners with pianist Piers Lane in her only Scottish date this year. The concert on Tuesday 23 July at 7.30pm features work by Brahms, Schubert, Vaughan Williams (The Lark Ascending) and Franck. 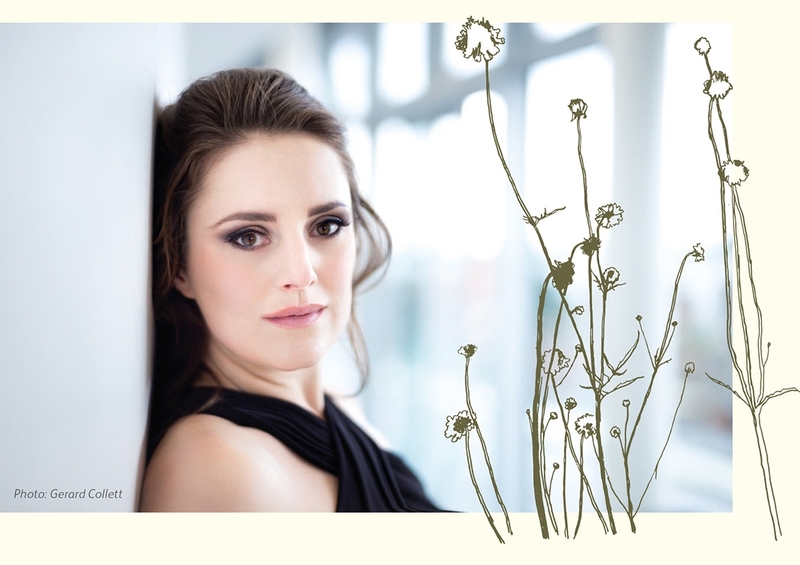 Young soprano Louise Alder, a major prize-winner at the Cardiff Singer of the World Competition and one of the most sought after singers on the international opera and song recital circuit, teams up with pianist Gary Matthewman in a captivating programme that journeys from Mozart, via Fauré and Strauss, to Verdi on Saturday 20 July at 7.30pm. Formed in 2012, the critically-acclaimed Leonore Piano Trio brings together three internationally acclaimed artists: violinist Benjamin Nabarro, cellist Gemma Rosefield and pianist Tim Horton. Making their Paxton debut, the trio perform three concerts this year; Mozart and Brahms on Saturday 27 July at 7pm, Haydn and Beethoven on Sunday 28 July at noon and on Saturday 27 July at 9.15pm they join Maxwell Quartet for a special collaboration of Schubert’s glorious Quintet in C, D.956. Albion String Quartet are rapidly establishing themselves on the international stage. Their Paxton double bill features Bach, Haydn and Mozart on Sunday 21 July at noon, then at 4pm they perform a programme of Walton and Dvorák. Pianist Pavel Kolesnikov has something that signals a unique individuality: he knows how to tell stories, without forcing his voice. On Wednesday 24 July at 7.30pm he makes his Paxton debut with music from Chopin, Beethoven (the famous ‘Moonlight’ sonata), Schumann, Bartok, Debussy and Beethoven. Having previous accompanied other artists at Paxton, pianist Tom Poster returns this year in his own right. A musician whose skills and passions extend well beyond the conventional role of the concert pianist, Tom has curated a short series of concerts specially for the festival. The first features violinist Savitri Grier and French horn player Ben Goldscheider on Thursday 25 July at 7pm for a programme featuring Brahms, then on Friday 26 July at 7.30pm, winner of the BBC Young Musician of the Year Competition, cellist Laura Van Der Heijden, joins Tom in works by Bach, Britten, Nadia Boulanger and Brahms. Tom performs a late summer evening solo recital, The Jazz Age, featuring music by Ravel and his own arrangements of songs from the Great American Songbook by Gershwin, Cole Porter and others on Thursday 25 July at 9.15pm. For the first time this year, Music at Paxton has a free choral concert on the front lawn of Paxton House. On Sunday 21 July at 2.30pm John Casken, who celebrates his 70th birthday this year, presents an afternoon performance of choral music from across the ages by Coquetdale Chamber Choir. 2019 welcomes Music at Paxton’s new artistic director, Angus Smith, who has been liaising closely with the musicians in developing this year’s programme. Angus is a freelance singer based in London and the current Artistic Director of Music in the Round in Sheffield, and has worked in a chamber music environment, both as a performer and as a programmer, throughout his music career. 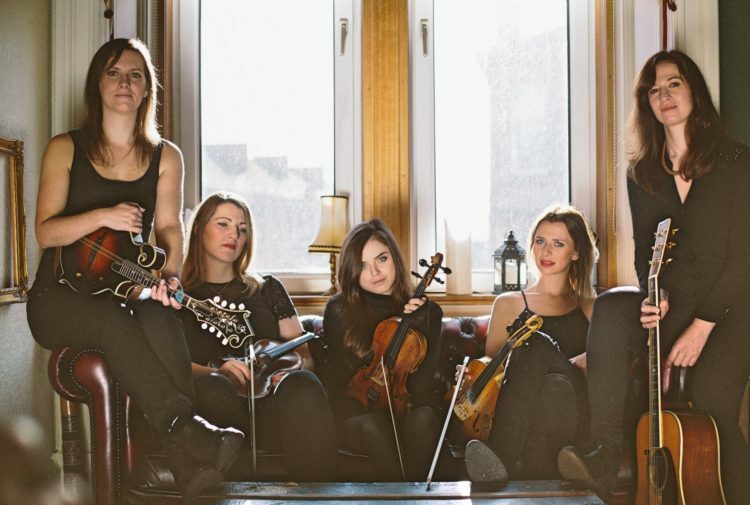 Presenting outstanding young musicians early in their careers, and integrating them into the Music at Paxton programme, remains a high priority to the festival, who proudly continue their relationship with Live Music Now Scotland. 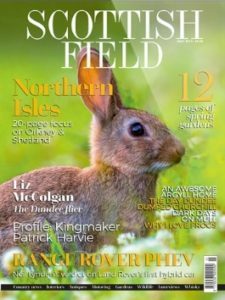 On Saturday 20 July at 5pm Robbie Greig and Hamish Macleod (guitar, fiddle and vocals) present Gaelic and world music, and on Saturday 27 July at 4.30pm Graham Rorie and Aidan Moodie (guitar, vocals, fiddle and mandolin) perform traditional and contemporary folk songs from their Orkney home. Once again, in conjunction with Live Music Now Scotland and Paxton House, the extremely successful free one-hour taster concerts ‘Music at Paxton…Plus’ return to the festival. This year Gelos Duo, an emerging young and vibrant chamber music project established by Lithuanian pianist Monika Palsauskaite and Spanish saxophonist Francisco Sánchez, perform on Sunday 5th May at 3pm and on Sunday 2 June also at 3pm, it is the turn of classical guitarists Ross Wilson and Lewis Dunsmore (Wilson-Dunsmore Duo). Carol Main, director Live Music Now Scotland, said: ‘Live Music Now Scotland is delighted to work in partnership with Music at Paxton. 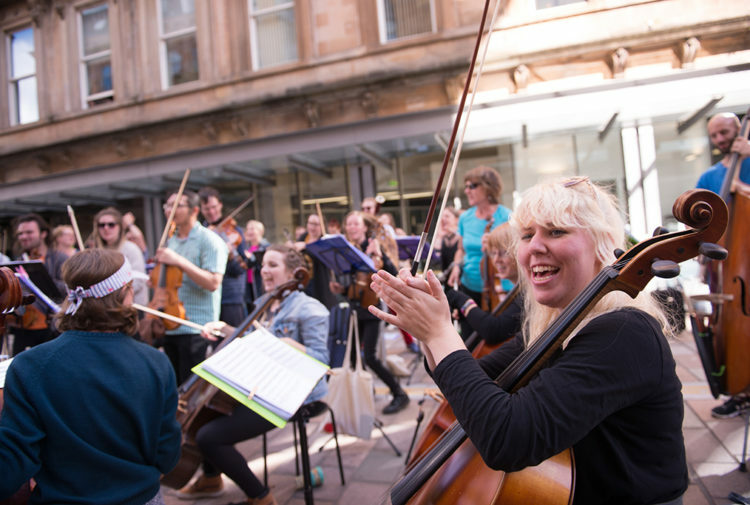 Not only does the Festival give a high profile platform for our outstanding emerging artists, but Live Music Now’s core aims of widening access to music for those who can’t make it to the concert hall are met through our associated programme of twelve outreach concerts in the local community. Music at Paxton is supported by the National Lottery through Creative Scotland, and tickets will be available from Hub Tickets, with public booking opening 10am on Monday 22 April.